"Putting the Family Back into Family Law"
reform in Florida. Many people are confused about whether alimony laws in Florida have changed, will change and how Florida alimony laws will effect current or future alimony or divorce cases. Alimony reform bills were referred to the Children, Families & Elder Affairs, along with the Judiciary and Rules Committees continuing the annual fight for Florida Alimony Reform. If approved, the changes will take place in October, 2017.
alimony reform activists are pushing for 2015.
lasts more than a decade in long-term marriages. special cases, and only until no longer needed. • Obtain retirement rights for alimony payers, the same rights enjoyed by all other citizens. an increased amount of alimony to a first spouse based now on a new “family income,” or face jail. • Provide equal and consistent treatment, where the outcome of a alimony case is not decided by the Russian Roulette selection of the family court judge. Serving Tampa , Brandon, St. Pete, Land O' Lakes, 24 years experience handling divorce, alimony and high net worth divorces. Top rated and aggressive, Tampa divorce and alimony attorney Nilo Sanchez has extensive knowledge in the area of Florida alimony, including alimony in high-net worth divorce cases in Tampa Bay. When it comes to Florida alimony and your divorce, it is crucial to hire a lawyer who understands the current Florida Alimony laws in order to help you obtain favorable long term results. In a divorce case, a party may claim alimony from the other party. Alimony is a form of financial support that one party seeks from the other. In general, alimony is dependent upon the length of marriage, the financial need of the parties and the financial abilities of the parties. Contact Nilo Sanchez & Associates, divorce lawyer in Tampa to schedule a consultation to determine if you may be entitled to alimony in your divorce case. The income used to calculate payment of child support is the level of income remaining after alimony is taken out. So alimony payments do reduce child support. There is an interaction between alimony and child support that sometimes can work toward the advantage of the person paying support and alimony. The hiring of a Divorce lawyer in Tampa, Florida is an important decision that should not be based solely upon advertisements. Before you decide, ask us to send you free written information about our qualifications and experience. This website is not intended to provide any legal advice and you should not rely on this website for legal advice. Any statutes or other laws that are mentioned on this website may not have been updated recently and, therefore, the information on this website may not be the most current information available. Sanchez & Associates, P.A. does not give legal advice except during formal consultation and/or after an individual signs a written retainer agreement and and becomes a client of the Firm. 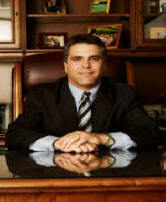 Nilo Sanchez & Associates has a proven track record in all areas of alimony, divorce and Family Law in Tampa Bay. Mr. Sanchez is committed to obtaining results that will be in the best interest of you and your family. Nilo J. Sanchez can handle your alimony or divorce case in Hillsborough, Pinellas and Pasco County, Florida. If you are in need of temporary relief, alimony or modification of alimony or child support or if you require legal advice or representation for timeshare matters, please call our law office for a consultation. Tampa divorce attorney Nilo J Sanchez represents both men and women in alimony cases and is seasoned in handling high net worth divorces. In the State of Florida, divorce is governed under Chapter 61 of the Florida Statutes. Additionally, to obtain a divorce, the court must find that the marriage is irretrievably broken or that one of the parties has been adjudged to be incapacitated for a preceding period of at least three years. There are many issues that may arise when a party seeks to obtain a divorce. For instance, the following issues may be present in a divorce case and can effect your family in various ways. 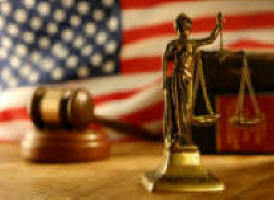 It's important to consult with a Tampa lawyer to establish ways to reach solutions that are in your best interest.